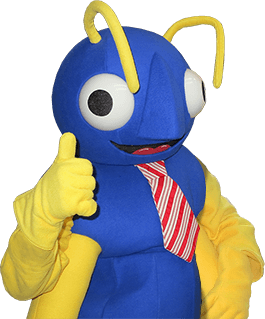 For over eight decades, Big Blue Bug Solutions has been providing superior pest control to property owners all throughout New England. Our Boylston pest control experts are extremely knowledgeable and experienced in their field. Big Blue Bug’s professionals are up-to-date with the most advanced pest control methods and techniques and utilize state-of-the-art equipment to efficiently resolve pest problems in Massachusetts. Most importantly, our experts believe in complete customer satisfaction and they have a genuine desire to help the people in their communities free their homes and businesses of bothersome and dangerous pests. If you are struggling with insects or rodents in your home, do not hesitate to contact a pest professional right away; a small pest problem today can rapidly become a big pest problem down the road. At Big Blue Bug Solutions, we understand best how these pests operate and we know with each season comes an onslaught of certain pests. We thoroughly understand the unique seasonality and habits of pests and now that summer has arrived in Boylston there are certain pests of which you should be aware. These common summer pests include bed bugs, mosquitoes, ticks, stinging insects, flies, ants and more! With our knowledge, training and experience, you can rest assured that your pest problem will be taken care of quickly and efficiently. For Massachusetts pest control you can trust, contact Big Blue Bug Solutions today! Bed bugs are nocturnal insects that are sustained through feeding on their warm-blooded hosts. After a blood meal, a bed bug can survive up to a year without another feeding. These bugs are about the size and shape of an apple seed and are reddish brown in color. They are expert travelers and have no problem hitching rides on luggage, used furniture and even clothes. Their sneaky traveling abilities are what make it so easy for them to enter an area unnoticed. Bed bugs can infest any home or business in Massachusetts; no one is completely exempt from their exposure. If you have ever experienced a bed bug issue or you know of someone who has then you realize how traumatizing a bed bug problem can be. Although these blood sucking pests do not transmit diseases, they are capable of leaving red, itchy welts on the skin of their victims. A female bed bug can lay several or more eggs a day in secluded places that are hardly visible to the human eye. While detecting and eliminating these pests is nearly impossible to achieve on your own, the experts at Big Blue Bug Solutions can resolve any bed bug infestation and help restore your peace of mind. Contact us today to learn more about the bed bug treatments Big Blue Bug Solutions offers to help keep your family safe from these invasive pests! Mosquitoes are a common summer pest in Boylston, Massachusetts. These flying insects have an average lifespan of 1-2 weeks in nature and they are willing to travel up to 14 miles to find their next blood meal. If you have been bitten by a mosquito before, chances are it was a female. Female mosquitoes require a blood meal in order to have the necessary amount of protein needed for her eggs. Her focus will not waver till she has found a host to feed on. Mosquitoes are most active from dusk to dawn. You may have noticed them swarming in a little army when you have attempted to enjoy the outdoors after a long day at work. At Big Blue Bug Solutions, we understand how frustrating these pests can be. In addition to their obnoxious behavior they are also capable of spreading harmful diseases such as Malaria and the West Nile virus. If you are sick of mosquitoes and would like to take back your summer, then contact the professionals at Big Blue Bug Solutions to discuss the advantages of our mosquito control program! Ticks are parasitic pests that feed on the blood of other animals and are known to attack humans as well. Ticks are considered dangerous, as they are commonly known for spreading Lyme disease. Ticks are most commonly found in grass, tall weeds, brush, or wooded areas, making the property around many homes a perfect haven for them. Ticks can be hard to find and are nearly impossible to eliminate without the help of a professional. At Big Blue Bug Solutions, we offer a Mosquito and Tick Control program that is designed to find and reduce the breeding areas around your home, allowing you to enjoy the outdoors in peace. If you live or work in Boylston and are in need of quality tick control, contact us today. Boylston is home to a variety of ants, including carpenter ants, pavement ants and odorous house ants. The most feared of all of these is the carpenter ant. Contrary to popular belief, carpenter ants do not eat wood. Carpenter ants get their name because of their nature to chew galleries into wooden structures to create their nests. Much like pavement ants and odorous house ants, carpenter ants enter our homes in search of food and shelter. At Big Blue Bug we offer residential pest control and carpenter ant control for Boylston residents. For more information about the services we offer, or to schedule an inspection of your home, contact us today. While the pest prevention tips provided can be very effective, they will not guarantee that your home stays pest free this summer. If you find yourself in need of a quality Massachusetts exterminator, trust the experts at Big Blue Bug Solutions. Our residential pest control program is designed to not only get rid of ants, but also to keep your home free of centipedes, millipedes, cockroaches, mice, spiders and much more. If you would like to learn more about the residential services available in Boylston, contact the professionals at Big Blue Bug Solutions today. No matter what your Boylston pest control need is, at Big Blue Bug Solutions we are confident we can help. For more information on any of the services available or to schedule an inspection of your home, contact us today.